A polished stainless steel ring featuring a black woven effect carbon fibre band and finished with the stainless steel Armani eagle logo. A stylish and versatile men's ring for everyday wear, this sleek accessory also makes a charming gift for that special occasion. 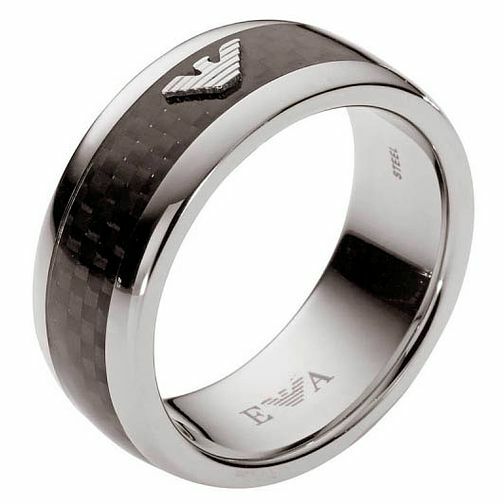 Emporio Armani Men's Stainless Steel & Carbon Fibre Ring U is rated 1.0 out of 5 by 1.